In order to help the countless human companions of cats with the anxiety and sheer panic caused by IT ~ dare I say it? 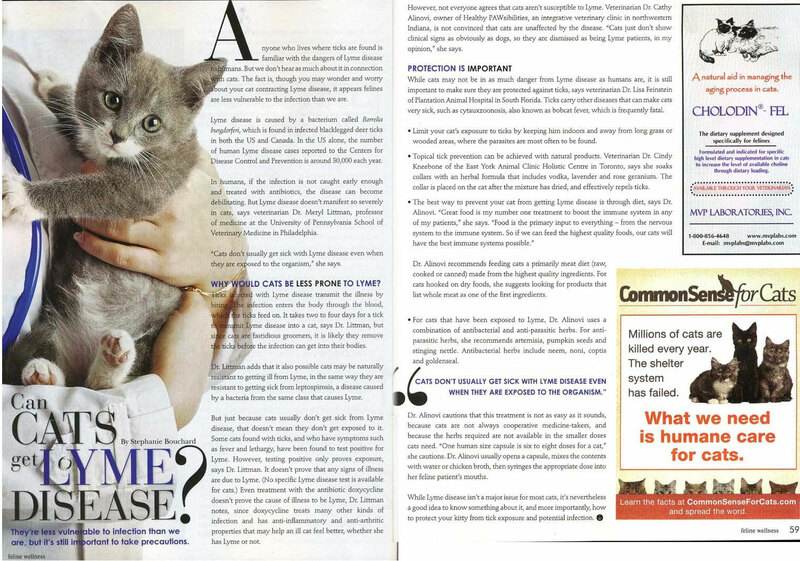 ~ cat-tastrophes ~ here are the four most common cat-related IT mishaps and their simple solutions. As obligate carnivores, cats are hunters at heart. Research that explores the intersection between their hunting and eating habits is changing how we feed our kitties ~ and it's having a positive impact on feline health and behavior. Thyroid disease tends to come on in cats and dogs gradually, so much so that you may not notice anything's amiss. Here's what you need to know so you can be proactive. Hypervigilance helps keep combat soldiers alive in the field, but it can be detrimental to civilian life. 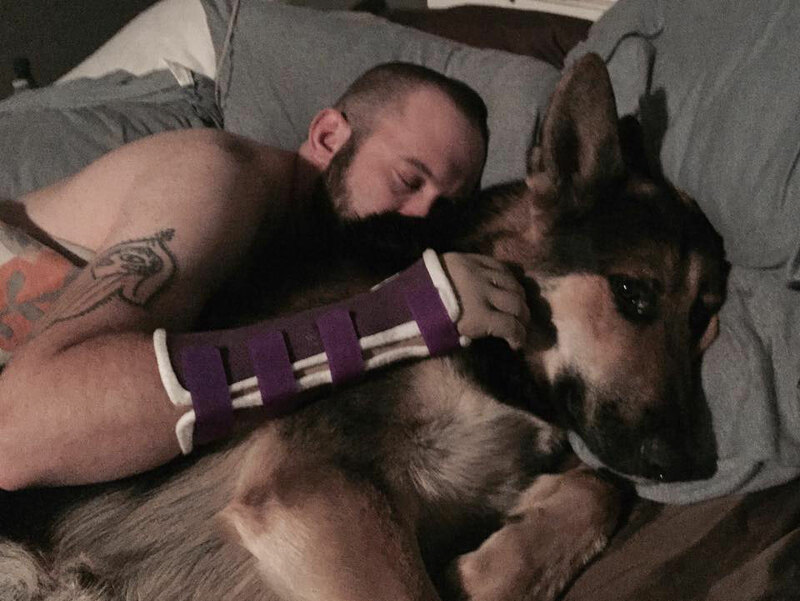 Trained service dogs can help veterans dealing with PTSD engage in life again. 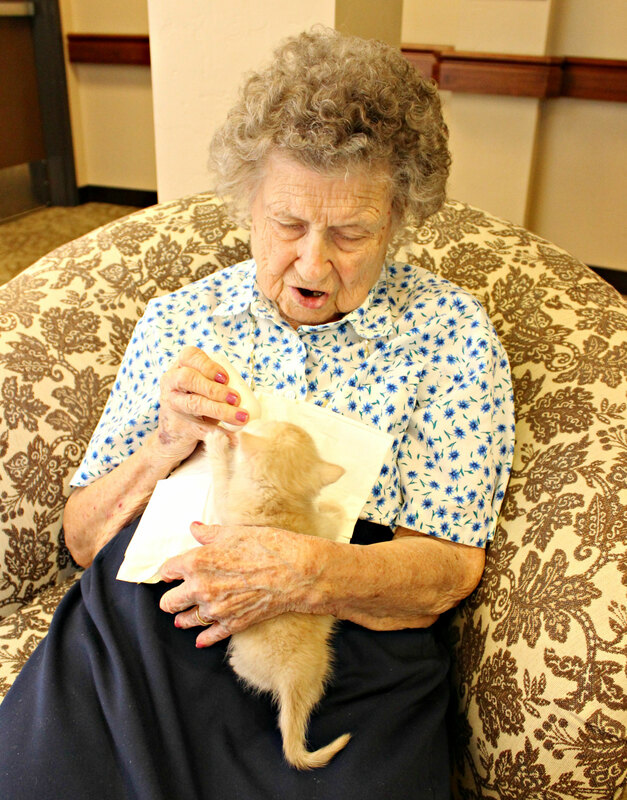 Research evidence varies that having a pet is good for seniors, but the prevailing wisdom is that animal companions benefit people of all ages. Many elderly residents of Catalina Springs Memory Center suffer from diseases such as Alzheimer's. Some have lost fine motor skills. Some can no longer speak at. But place itty bitty kittens in their hands, and they'll hold them and pet them, feed them with a bottle and clean their furry little faces, and stimulate their bottoms to help them pee and poop. Research increasingly has shown that pets have a positive effect on human health, and there's some strong evidence that having a pet enhances social interaction and support, too. Knowing the signs can make all the difference for cats with acute and chronic pancreatitis and exocrine pancreatic insufficiency. Cats are less vulnerable to the infection than humans are, but it's still important to take precautions. 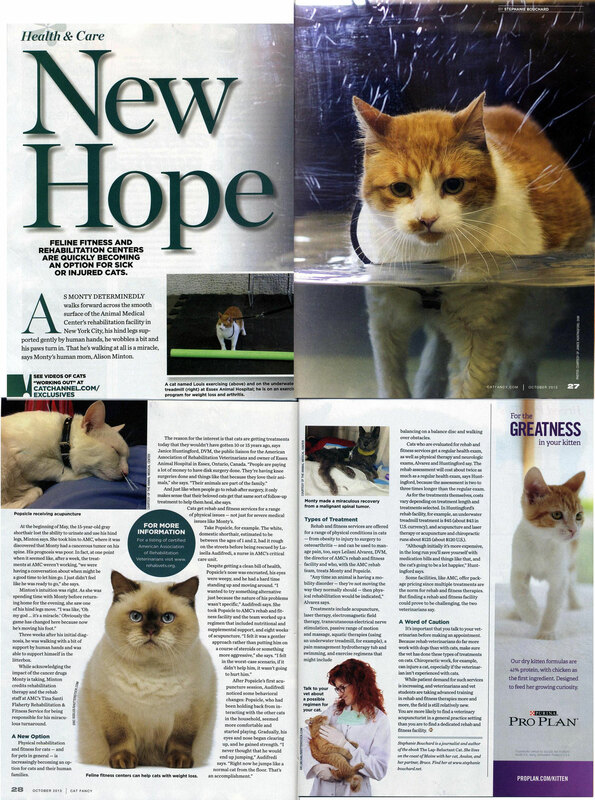 Feline fitness and rehabilitation centers are quickly becoming an option for sick or injured cats. 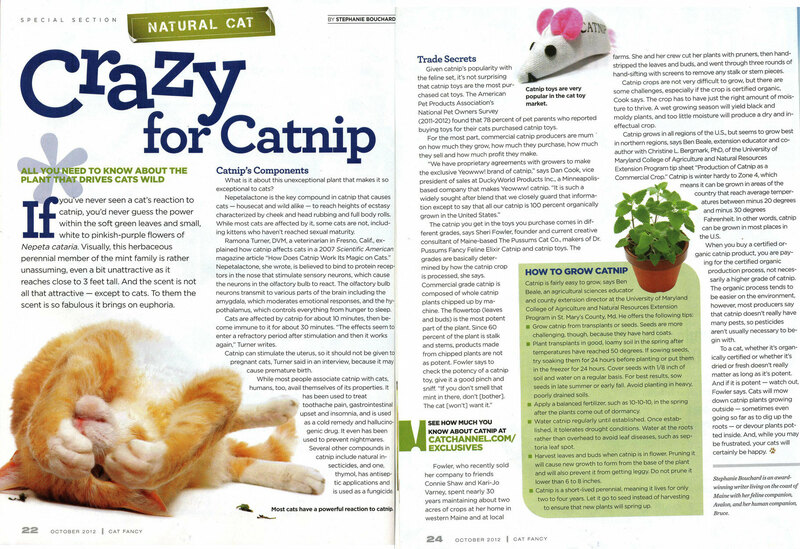 All you need to know about the plant that drives (many) cats wild. 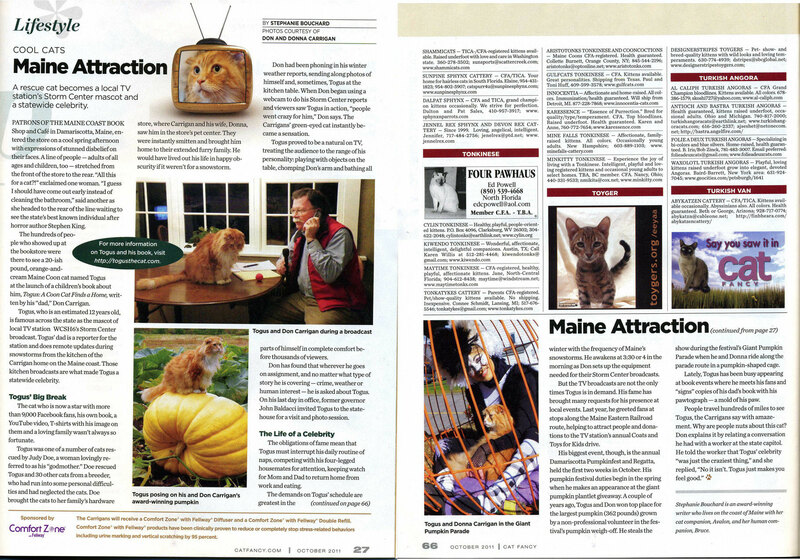 A rescue cat in Maine becomes a local TV station's Storm Center mascot and a statewide celebrity.